Many customers forget to inform their modular home general contractor (GC) of important changes to their specifications and plans. A few expensive examples from my experience include adding a walk-out bay that required a full foundation; moving the fireplace or a slider to where the bulkhead was going; or reversing the orientation of the house. Serious and costly mistakes are more likely to occur with changes made later in the process. It is easy to let down your guard while catching your breath. One of my customers forgot to tell their modular home general contractor that they reversed the house plan so that left was right and right was left. They had a good reason for the reversal, since they wanted the living area to receive sunlight rather than the garage. But they had not yet made that decision when they gave their three GC candidates copies of their proposed plans. Their selection of a GC was then delayed six months by several time-consuming problems with getting a building permit. When their modular home general contractor was given the revised plans, he asked the customers if the plans had changed much. The customers said they had changed the kitchen around, but that was about it, completely forgetting they once had drawn the plan with the opposite orientation. You would think that the GC would have looked at the plans for himself. But here’s what happened. He told his project supervisor to schedule the excavation and foundation subcontractors; they had been awarded the job many months earlier. He then went on vacation the week the work was done. The two subcontractors showed up with the old copies of the drawings they had received when bidding for the work; the GC’s supervisor showed up with none. The foundation was poured, incorrectly, with the foundation for the garage on the left rather than the right, and the foundation for the chimney and walkout bay on the right rather than the left. The lally-column pads were also spaced incorrectly. My customers discovered the mistake when they visited the site while the foundation was being backfilled. The GC blamed the customers for not telling him about the reversal, and the customers blamed the GC for not looking at the revised plans. In the end, the GC relented, as he should have. But for the remainder of the project they both suffered through a very trying relationship. It is critical that you provide your modular home general contractor with any changes to your modular plans and specifications. Better yet, provide him with a copy of the final draft of your modular plans and specifications, and have a meeting with the GC to review them. 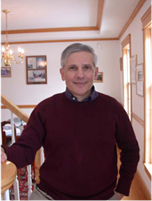 For more information about why you should keep your modular home general contractor informed, see Selecting a General Contractor and The General Contractor’s Responsibilities for Building a Modular Home in my book The Modular Home. Whenever you purchase land, make sure you complete a title search before building your modular home. If you finance the purchase, your lender will automatically require this. Although it will cost you several hundred dollars to have the title checked, don’t skip this task when you inherit or are gifted land. Having it done early on will protect you from moving forward with other steps that can’t be completed until the title is cleared. In our first year of selling modular homes, one of my salespeople sold a ranch to a woman who was going to build a home on a lot she was being given by her mother. When her attorney did a title search the day before the closing, he found a title flaw with the property. It turned out that when her mother had inherited the land from her own mother (my customer’s grandmother), the grandmother had actually given the land to both of her children, not just her daughter. So the land was really owned by my customer’s mother and her brother. No one had paid attention to this because the brother had died many years ago, and he didn’t have any children or a will stating what should happen to his share of the land. My customer’s mother falsely assumed she automatically inherited her brother’s share of the property. My customer had to cancel purchasing her modular home when she was told it could take over two years to resolve this matter in court. A couple of years later I noticed in the local paper that she had cleared up the problem. 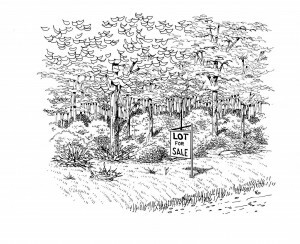 Since she had already bought an existing home, however, she sold the lot.For more information about why you should complete a title search before building your modular home, see Finding and Preparing a Building Lot for a Modular Home in my book The Modular Home. You’ve probably heard that special modular construction techniques are used to make homes strong enough to be transported down the highway, lifted by a crane, and set on a foundation. What you may not have heard is that the same techniques that are responsible for the unique durability of modular homes also give modular homes a lot more protection against any violent force – “manmade” or natural. Some of the best stories about the structural durability of modular homes are ones the industry is most ambivalent about telling. These are the tales about homes that fell to the ground during the delivery or set. Industry professionals fear that customers will think these accidents happen frequently or that customers might be expected to accept a damaged module, neither of which is true. Not to tell these stories does a disservice to the industry. I can’t think of anything that offers a more vivid testament than the image of a module sliding off of a carrier as it exits an interstate at 30 miles per hour and rolls down a hill, turning over six times, surviving with only a few drywall cracks and a broken window. Fortunately, my company has had only one such experience in 26 years. The house was a two-story colonial with an attached in-law apartment. The two small modules for the apartment were shipped on the same carrier as two of the modules for the home. When my set crew lifted one of the two-story modules from the carrier, the carrier tipped over and the small module fell off the carrier and rolled over on its side. As shocked as I was by the accident, I was even more shocked by the condition of the module and my customer’s response. The module survived with only a few cosmetic cracks in the drywall, a broken pane of glass in a window, and an exterior door out of alignment. I apologized to my customer and said that I would build them a new module as soon as possible. They said that was not necessary, since the module was still in very good shape. I explained that I did not feel right having them take a damaged module, but they insisted. After the general-contracting work was completed on the home, none of us could tell that anything unusual had happened. Even after several years, we’ve never had a problem with the module. The unique durability of modular homes is due to the construction techniques used to build each module. The unique durability of modular homes accounts for the many stories of these homes surviving without serious structural damage after being subjected to hurricanes and tornadoes, something no stick-built house could withstand. It explains why a modular motel was found to be the only thing standing after Hurricane Hugo hit a North Carolina town, and why the Federal Emergency Management Agency (FEMA) gave the following report on Hurricane Andrew in Florida: “Overall, relatively minimal structural damage was noted in modular housing developments. 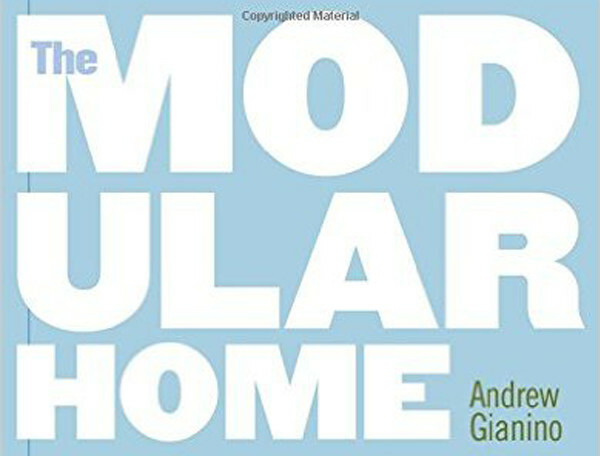 The module-to-module combination of units appears to have provided an inherently rigid system that performed much better than conventional residential framing. This was evident in both the transverse and longitudinal directions of the modular buildings” (Publication number FIA-22, February 1993, page 29). This past year two of our homes – both built several years ago – were hit directly by a rare tornado in Western Massachusetts. The tornado was reported to have winds of 160 mph. 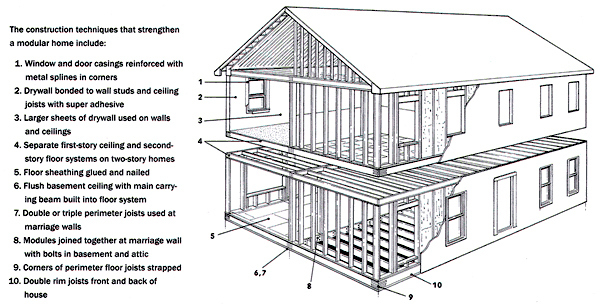 Here are two videos about how our homes fared compared to conventionally built homes. Don’t forget to watch the second one, since it includes interviews with the homeowners. 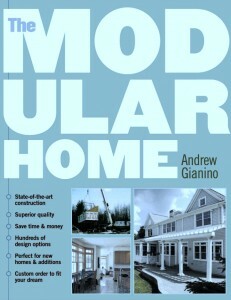 For more information about the unique durability of modular homes, see Why Build Modular in my book The Modular Home. Building a home for the first time has one thing in common with having your first child. You’re never really prepared. It doesn’t matter how many times family, friends, and know-it-all strangers share their experience and advice. Just as you have to live through parenting to understand the difficulties of meeting your baby’s needs, you have to experience the challenges of building a home to understand its demands and stresses. I made this point in the Introduction to my book, The Modular Home. My goal for the book was to draw on my 26 years of experience in the industry (as President of The Home Store) to educate anyone building a modular home for the first time. As it’s turned out, this has included modular industry folk new to the business in addition to those building their own modular home. To make this more interesting and personal, I included several short stories about my customers. I called these, “Speaking from Experience”. This blog will begin with these stories, but will add many, many more – at least one or two a week. Most of the stories will be about the challenges, mistakes, and surprises experienced by my customers, their general contractors, our modular factories, and (yes) my company in general and me personally. Almost every tale was endured by more customers than the ones I mention. In fact, some of the stories are composites of several customers’ experiences. Needless to say, I disguise my customers’ identities. I will also mix in many straightforward advice posts. They will tell you what to do and why you should do it. Some will focus on what you shouldn’t do. I’d like to mention a point acknowledged by conventional builders who’ve read my book. The number of challenges, mistakes, and surprises experienced by builders of stick, panelized, and log homes is even greater than those facing builders of modular homes. The reason is that there is much more work to be done on site with these types of homes. That’s of course why more and more people, including conventional builders, are considering modular homes over other forms of construction. As I said in my book, if you’re wondering why I’m being so candid, it’s because I want your experience to be as free of surprises as possible. If my blog does its job and prepares you for what lies ahead, you will be very glad when you’ve built your own modular home. So please join me each week for my Tales from a Modular Home Builder.